Southern Italy was the frontier of modern viticulture on the European mainland when the Greeks established the first organized plantings thousands of years ago. Unfortunately, for much of the last century, southern Italy has been considered a vinous backwater, with a handful of large producers dominating winemaking in Campania, Puglia and Sicily. While some of the wine was good, the prevailing attitude was quantity over quality. The last decade has seen a vivid resurgence in quality winemaking; while some have chosen to replant ancient vineyards with international grapes, native varietals such as Uva di Troia, Nero d'Avola, and Aglianico continue to be cultivated and elevated by a core of passionate wine producers who are making serious world-class wines. From mountainous, windblown Campania to the fertile slopes of Mount Etna to the arid plains of Puglia, southern Italy offers a fascinating array of flavors and styles at fabulous prices! Campania's Aglianico del Taburno DOC in the province of Benevento, is an excellent source of Aglianico – and at very attractive prices. The region, north of Naples at an elevation of 1,000 feet, has a long growing season, hot days and moderately cool nights. Volcanic soil supports the vines. The Aglianico from this area is fruit-driven, approachable, and ready to drink in the shorter term. 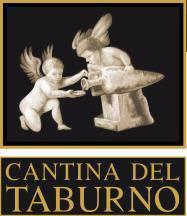 Cantina del Taburno is the leading producer in the zone, with two excellent-value Aglianicos: the "Fidelis" and the old-vines all-barrique aged "Delius". Since 1999, winemaking at this site has been the responsibility of Professor Luigi Moio of the University of Naples, who previously oversaw production at Feudi di San Gregorio. Wine Spectator 88 "Hints of pineapple and guava are layered with fragrant jasmine and ginger accents in this mouthwatering, light-bodied white. Drink now through 2019. 29,000 cases made.—Alison Napjus" 100% Falanghina grown in calcareous and clayey marl soils with South-East exposure.